The program, already developed for diabetes and asthma, is an example of the innovation possibilities resulting from public-private collaboration for the design of a global map around a pathology. 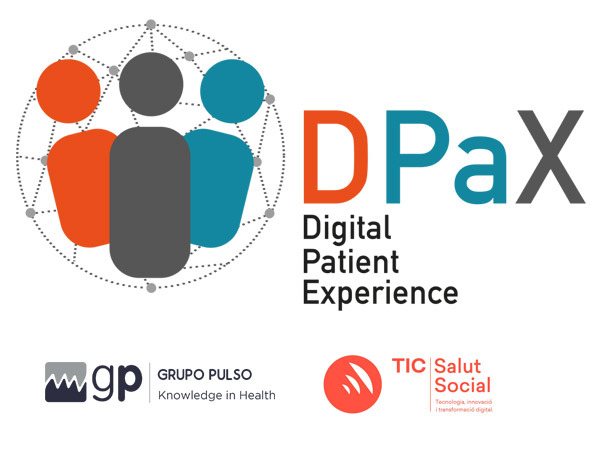 DPaX (Digital Patient Experience) is a digital transformation line created by the ICT Social Health Foundation of the Generalitat of Catalonia, and in which Grupo Pulso has collaborated since the beginning. The objective of this line is to identify possible needs of patients in the health system, which could be solved by mobile technologies and the digital transformation of the health system. Through the participation of different companies in the pharmaceutical industry and the public health system, the DPaX is a global project that allows a comprehensive approach to the challenges of chronic patients within the health system, and provide them with solutions based on innovative technologies. Currently two thirds of the budget of the health system is allocated to the treatment of people suffering from a chronic disease, among which are included cardiovascular, respiratory, rheumatic diseases, in addition to diabetes or cancer, among others. In 2020, 78% of those over 65 will suffer from a chronic illness. In this context, improving self-management of chronic diseases is a great step forward for the health system itself (which allows it to optimize its resources) as well as for patients, who can improve their quality of life by giving them greater autonomy in the management of their health. disease. From a new patient profile increasingly proactive, informed, connected, critical, and new technological opportunities derived from digitalization, we have the opportunity to contribute to a new model of health care based on understanding the needs of the patient, the professionals and public administrations, working together towards integrated care and personalization of medicine. DPaX uses as tools different scientifically proven methodologies to work on innovation in processes and organizations. The patient experience describes the sequential steps (clinical and non-clinical) that a patient develops in the different phases of their care. Analyzing your trajectory allows you to improve some key steps of your experience and design digital transformation solutions that improve the effectiveness and efficiency of the process. The implementation of these solutions has the collaboration of the health healthcare system and the private initiative, which allows us to have an overview of all the agents that make up the pathology, always focusing on the objective of empowering the patient and their environment to improve their quality of life and allow them a greater degree of management of their own disease.